Today it was sunny and I had the day off, so I went to the Riverside Country Park. It’s where the Medway meets the Thames Estuary. It’s one of my places. 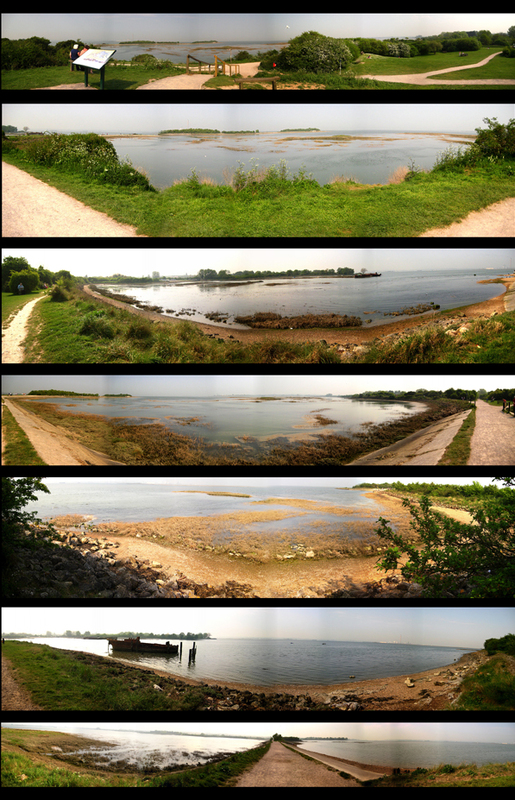 I experimented with making some stitched panoramic pictures. I also took some normal pictures. I’ll post them later. I’d love to have one of those turny Russian panoramic film cameras, but I’m too poor.